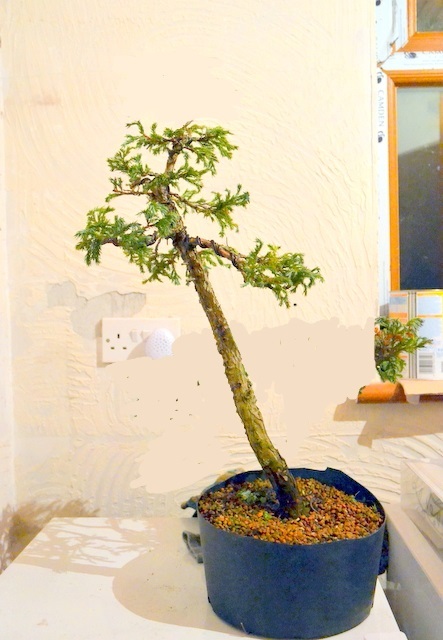 Well, I had hoped to wire the Old Gold Juniper last weekend and certainly made a start but then put my back out and haven’t been able to lift it to finish the fine wiring! I’ll hopefully post a photo when it’s completed later this week. 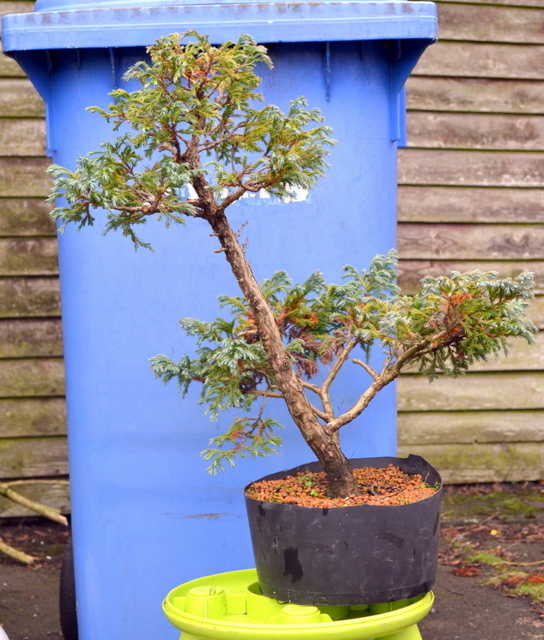 Instead I’ve turned my attention to a tree that’s considerably easier to pick up: this Chamaecyparis Psifera ‘Boulevard’. 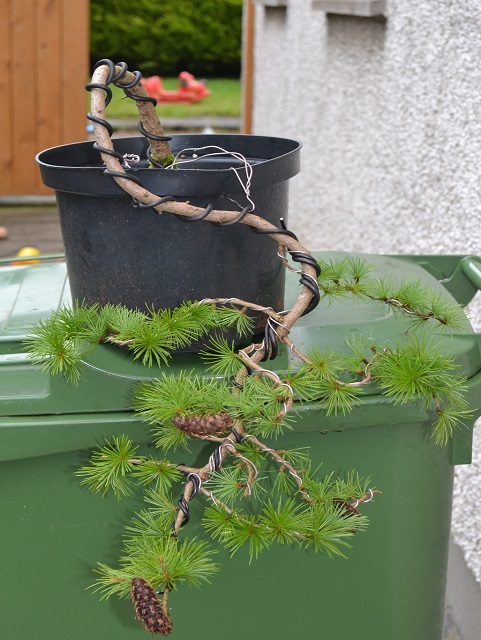 After repotting this year, it’s grown strongly and becoming rootbound again. 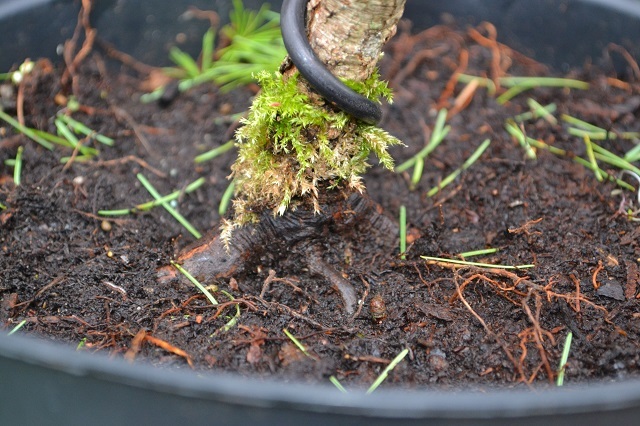 I noticed that water has been pooling on the surface and when I looked under the pot, found roots climbing out of a drainage hole. I’ll dwell on it for a while and update in a further post. I’m not much of an artist but I found this very helpful in terms of giving me a direction to go when wiring. Hopefully it’ll spur me on to finish the job this weekend. Better get started! 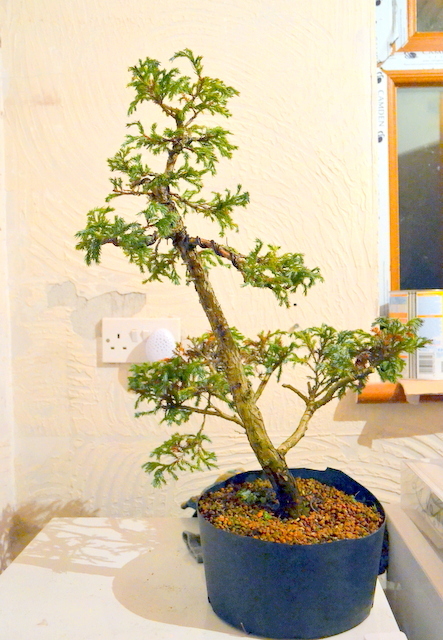 I was fortunate enough to have the chance to style a Japanese Larch at the recent NIBS Greenmount Display event. It was presented to the club for demonstration purposes and so I had a go in front of the half a dozen people who made it out on such a wet afternoon. The material itself was approx. 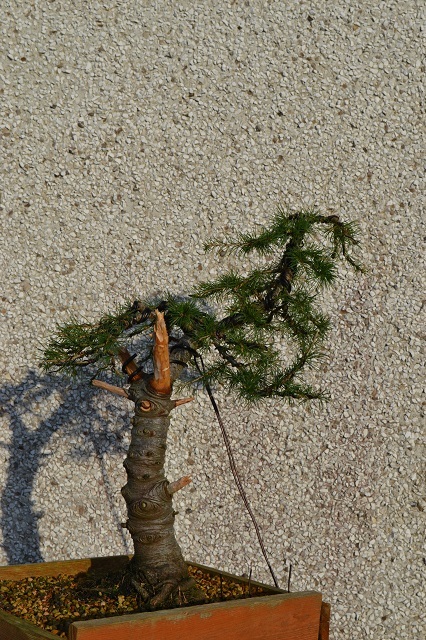 4ft tall and had been grown in a large flower pot probably for 4-5years at least. The tree though must be a lot older though due to the mature cones present? 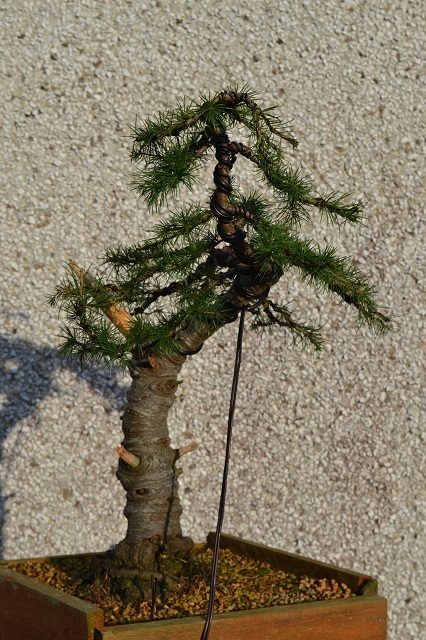 Very straight, tall and slender with no lower branches at all below 2-3ft. There was only one real option – cascade! 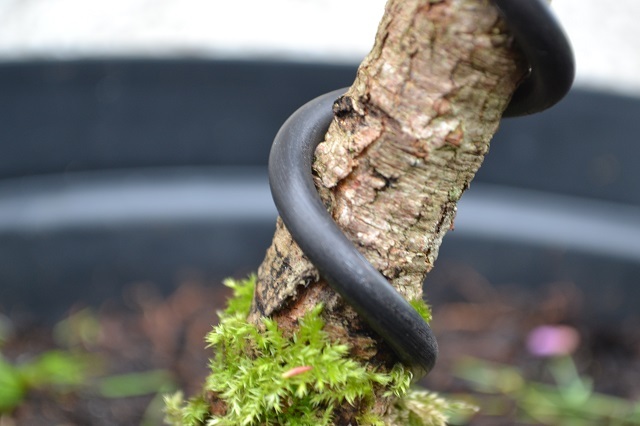 Aging bark – another plus point. 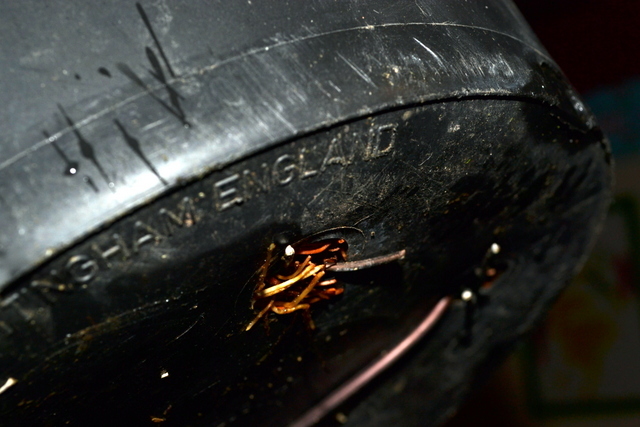 Perhaps some adjustments needed – I don’t like the horsehoe but that’s as much as I could bend it on the day. 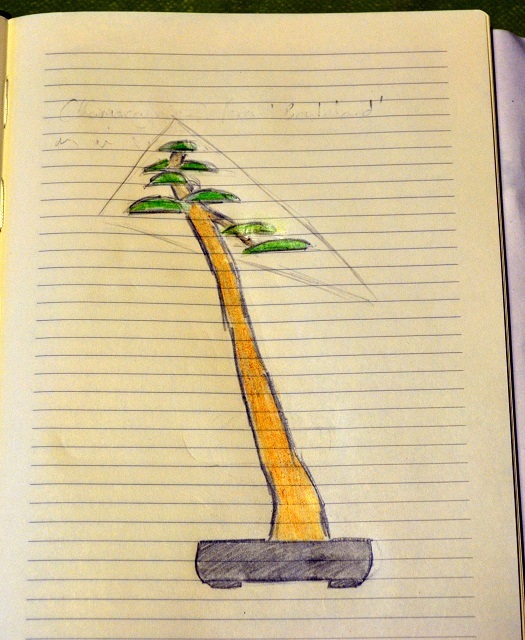 This angle better shows movement put into the trunk and the use of foreshortening to reduce the length. 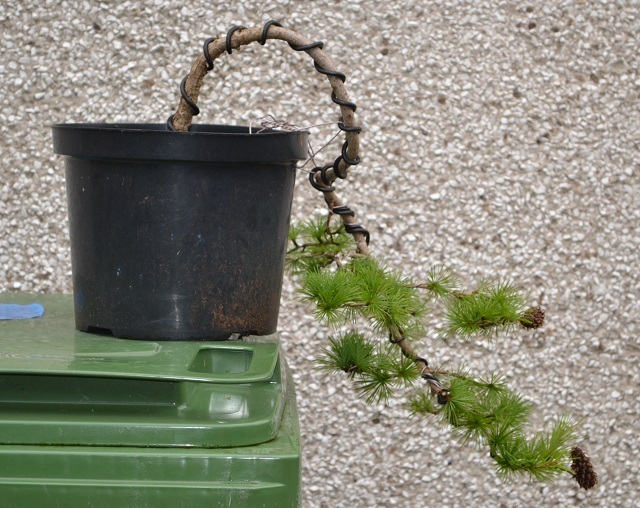 I may use this tree to experiment with grafting in future as I’d like to thicken up the lower trunk a lot. 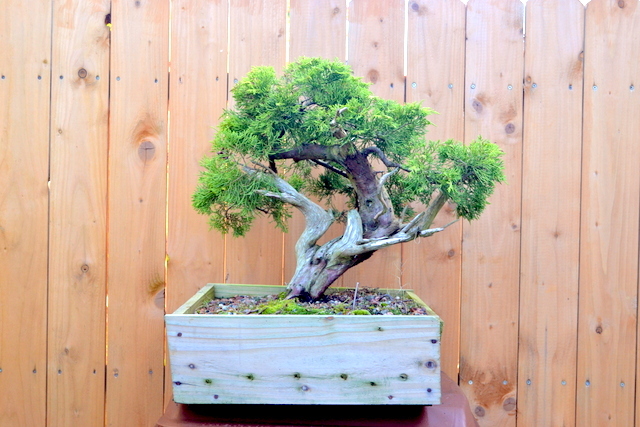 The time finally came around last weekend that I was able to give my Cedar an initial styling so I headed to Bonsai Eejit’s garage for some valuable guidance during the process. 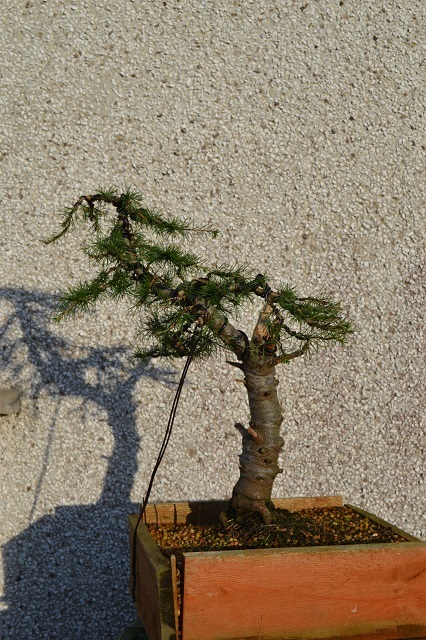 Secondary branches were thinned out to aid wiring of the whole tree and every branch (almost!) was wired. 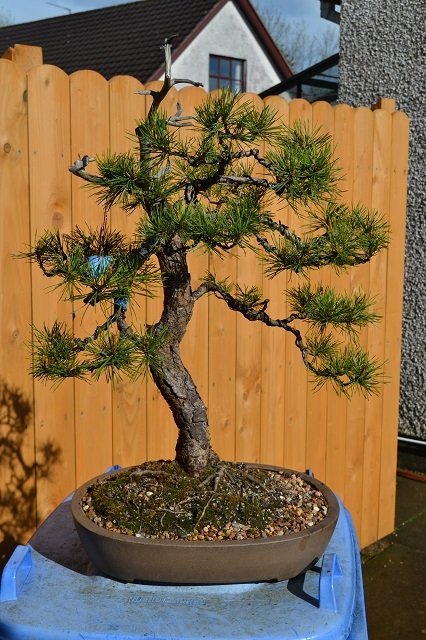 This was my first time wiring an entire tree and it was a bit laborious at first but towards the end I was getting the hang of it (although a lot of practice is needed!). 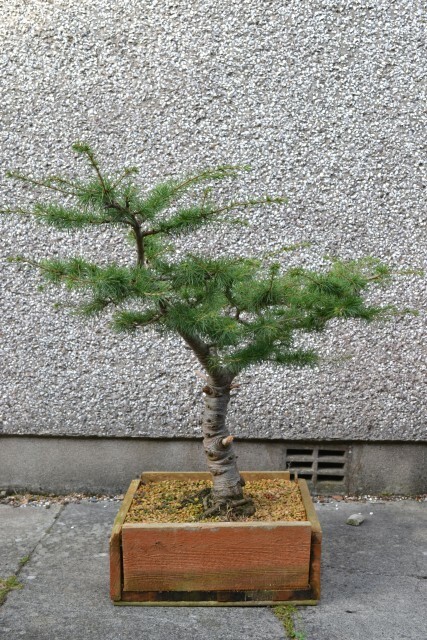 Again, I have very limited experience of styling raw material/trees so Eejit talked me through it and I learned quite a few things as he carried out the job. We finished at around 2:30am and I was pleased with the result. 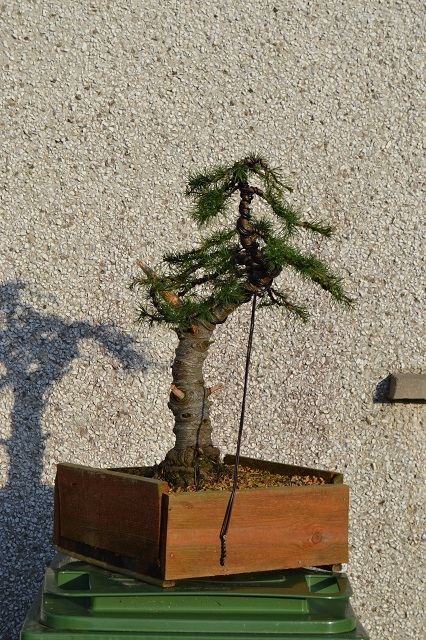 I went with the shorter trunk option and quickly hacked off the taller one before doubts set in. 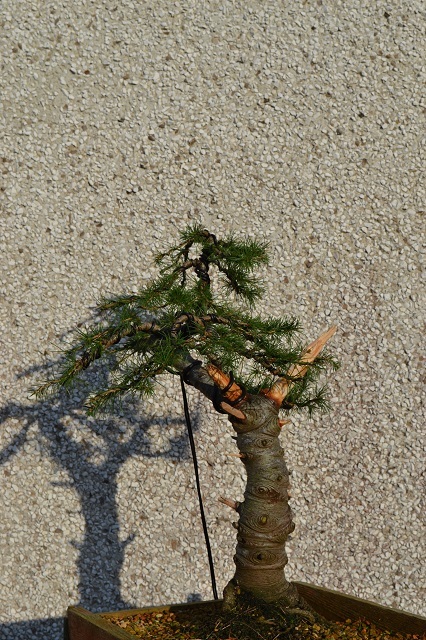 A long thick jin was left but I plan to refine the deadwood next year. 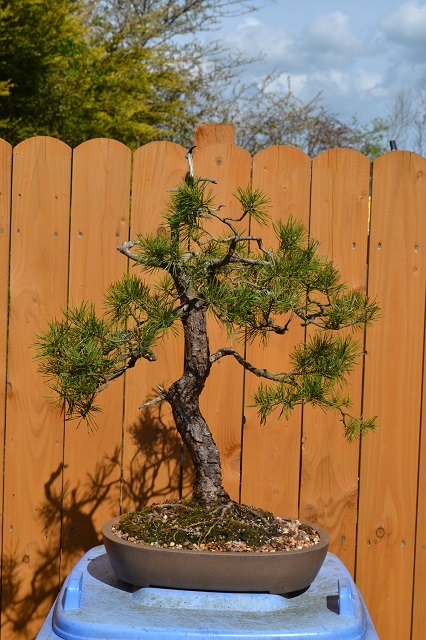 There were only four primary branches on the tree and they all came from the same place. Luckily they were pretty flexible as quite a bit of bending was necessary to move them into place.